How about a mug that shows you when the coffee or tea is cooling? A truly unique mug. When it’s cold, it has a dark background then you add any hot beverage (water, tea, coffee, etc. 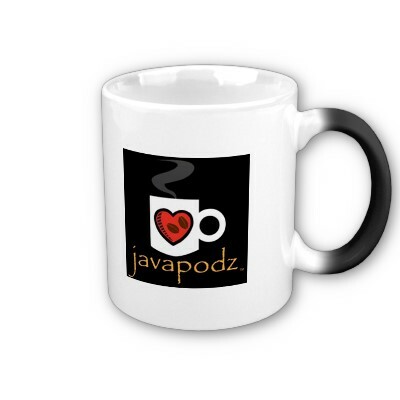 ), our JavaPodz image vibrantly comes to life. Please hand-wash only. Holds 11 ounces.